11 MAKEUP ITEMS FOR WHEN YOU'RE FEELING TIRED AND SICK. 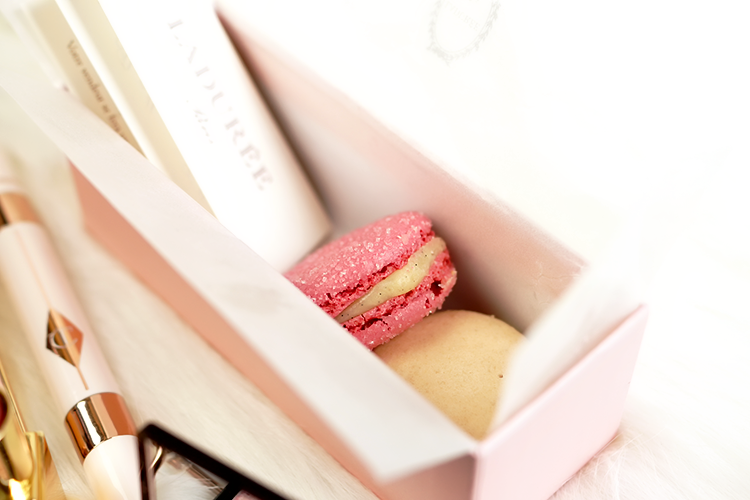 Although Autumn is in full swing and burgundies and plums are more the flavour of the season, today I'm showing a little love for pink. 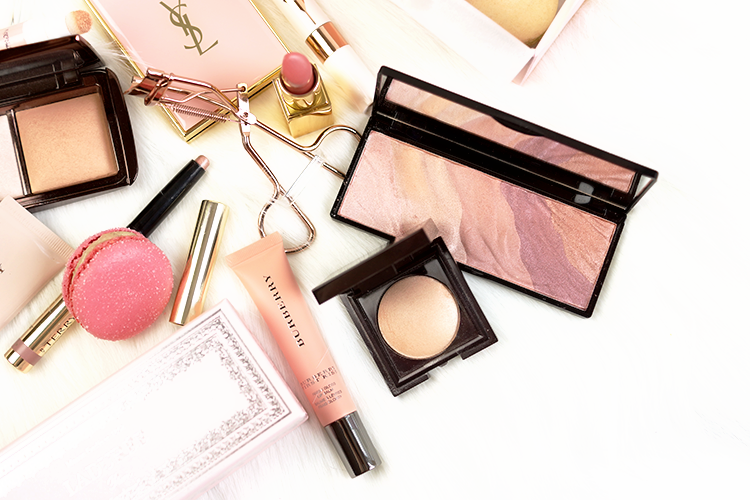 Especially as I've been ill lately, there's nothing than a fresh, peppy pink to enliven your complexion and make you look bright and healthy - so keep reading for my favourite makeup items for when you're feeling tired and sick! PS. Have you entered my Autumn Makeup & Skincare Giveaway? Not too long left! 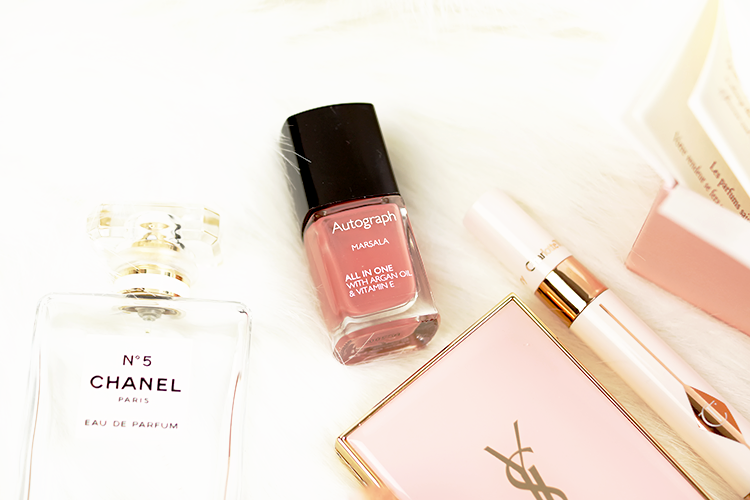 Autograph Argan Oil Polishes | I really think that this is one of my favourite nail polish formulas - the addition of argan oil/some other magic makes them glide on so smoothly, it's a complete dream for people like myself who aren't amazing at painting their own nails. Marsala is a gorgeous rose shade that I always get comments on when people mistake it for Chanel's Rose Confidential - dupe alert! YSL Blur Perfector (here for US) | OK so this is cheating as the product goes on clear but a good primer is especially handy when your skin isn't looking it's best. This is one of the silicone family but the refined formula feels smooth, fine, non slippery or greasy and really comfortable to wear. I think there's a slight mattifying quality too - which comes in handy for me as the rest of my makeup and skincare is glow enhancing. Charlotte Tilbury Magic Wand (here for US)| When I'm feeling under the weather, my under-eyes are the first area to give the game away. This double-ended wand includes an eye serum - which I happen to think is the best 'instant results' one I've tried - and a light concealer for patting in on top. Although you'll find cheaper concealers on the market, I think this one is well worth the investment. Aerin Lipstick (here for US) | I'm so glad that these lipsticks are starting to get a little more recognition. Aside from stunning, minimalist and luxury packaging, the formulas are so creamy and beautiful. 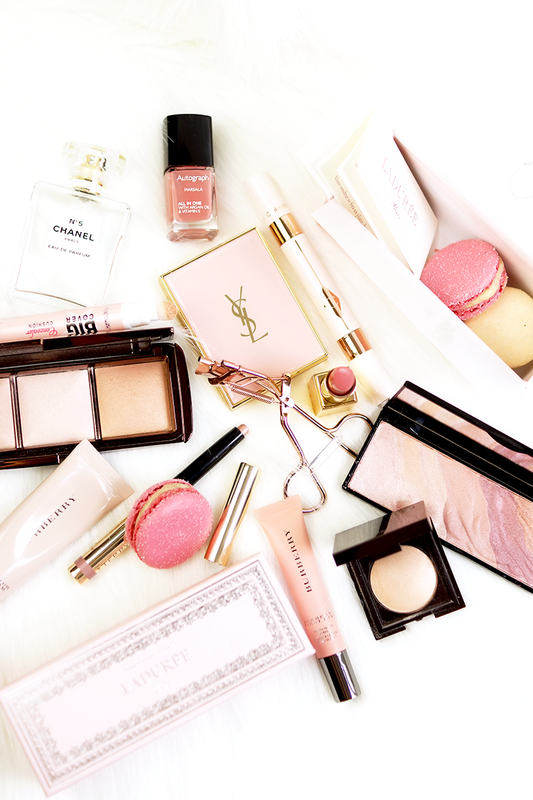 I have several of the shades but the pinky tones like Pretty and Liebling are my go-to for brightening up my face. ByTerry Ombre Blackstar (here for US) | If pushed for a decision I'd say these are the best cream shadow sticks around. Long lasting, refined and easy to apply - low maintenance is all I want when I'm not feeling my best, and Frozen Quartz and Bubble Glow are gorgeous pinky shades that I think looks particularly beautiful with brown eyes. Just a quick smudge of this and something brightening in the inner corners is perfect. Hourglass Ambient Lighting Palette (here for US)| I do think that when you're sick and tired, less is more - especially when it comes to glittery highlights. The centre shade in this Ambient palette is so beautiful for naturally accentuating your brow bone, nose and cheekbones - I use mine more like a finishing powder in those areas as it's so fine. Burberry Fresh Glow BB (here for US) | A glowy base is everything for when I'm feeling tired or ill, and after a good skincare routine, this Burberry BB is the perfect final step. It's probably the most radiant, light-reflective base I own and makes my skin feel and look much healthier than I'm feeling. Burberry First Kiss Balm (here for US)| Although very sheer, this peachy-pink shade brings just enough life to your lips, and the balmy texture is just the ticket when I'm ill and my lips are feeling dry, chapped or otherwise. The ceramic tip feels lovely and smooth and cooling as you glide it along your lips too. Laura Mercier Matte Radiance Highlighter (here for US) | Although this highlighting powder seems hard and stiff in the pan, it gives a super soft, seamless glow to the face, and I think this particular shade of pinky-peach-champagne is just beautiful at waking up your complexion. MUA Enchanted Shadow Palette | You'll have seen this palette scattered about my blog and Instagram no doubt, and I think the pinky, rose-gold shades are perfect for dressing your eyes and making them look bright and put together, without dousing them in dark shadow. The leftmost shades are perfect for highlighting your inner corners too - the no.1 trick for making those eyes look more awake. Etude House Big Cover Concealer | The peachy-pink hue of this under-eye concealer/corrector is the perfect enhancer for tired eyes - it's corrective but still nice and bright. It's thicker in consistency than the Charlotte Tilbury and gives a velvet-y finish. I actually really like the cushion applicator too - altogether a great item, especially for the low price point. What are your go to items when you're feeling under the weather? Amazing selection, thanks so much for sharing. i love everything! especially that marsala polish. when i'm sick i want to feel and look pretty at the same time and your selections are just precisely those feel-good-look-good products. much loves! The YSL Blur Perfector is an item which is so beautiful that I need it! The baby pink really cheers me up when I look at it. I always hesitated to get this product because I have a super oily skin, do you think this will work for me? These are such great picks and will sure pick anyone up from a glummy day. Still can't get over that MUA palette it's stunning. Ooo I love everything you picked! 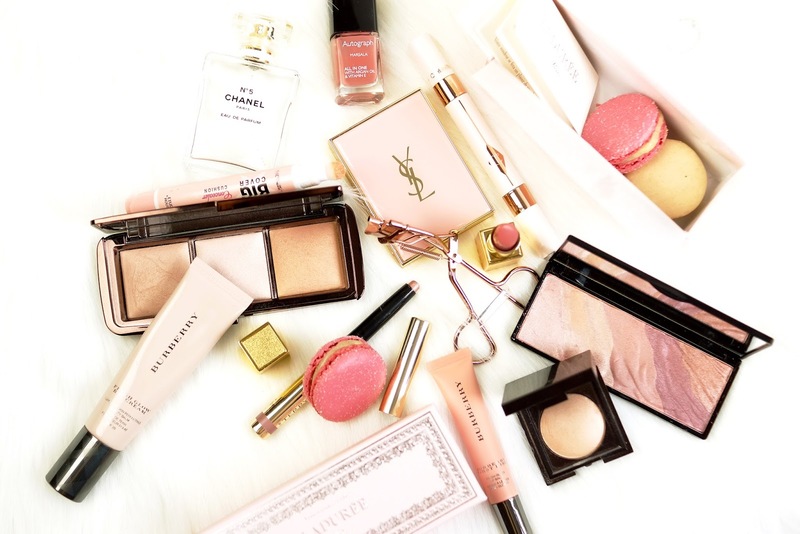 I know I don't need another primer, but the YSL one has such a beautiful case I want to get it just for that alone! I love the Charlotte Tilbury Magic Wand, when I first got it I thought it was a bit of a fad, but I am obsessed with it! It's an amazing post. I am that type of girl who can't imagine herself without makeup. And these products really attracted me. I love Dermology Skin carethe collection specially the"Blueberry kiss lip balm". Thanks a lot.